Nothing can be more frustrating than getting this message displayed on your screen when you visit your website one morning. This is the worst thing that can happen to your website. What will you do? Take a deep breath! In this article, we will assist you in fixing the following website problems. ⚠️ How to Fix “Your Account Has Been Suspended” Message on my WP website? 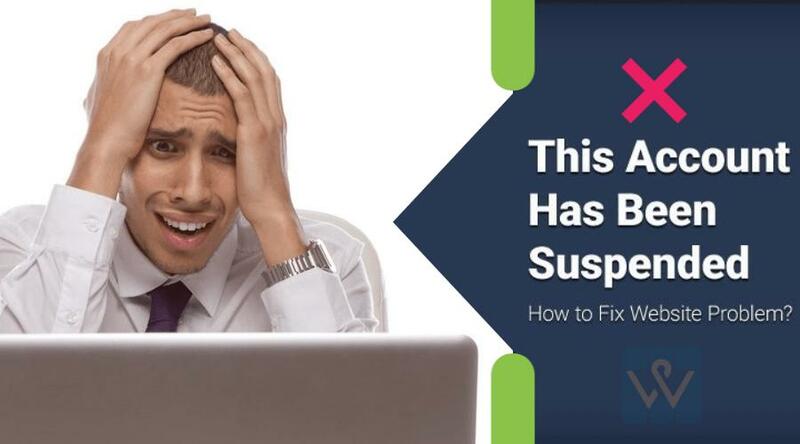 When your hosting account is suspended, there can a number of reasons for this like usually some account owners fail to comply the terms of services or they have payment issues due to which the web hosts suspend their accounts. Let’s discuss in detail the reasons why people get this kind of message. 🛡️Reasons! Why Your WordPress site Account is Suspended? There might be a number of reasons behind getting “This Account Has Been Suspended” Notice on your website. Let’s discuss in detail. In all these cases, a practical solution for web host would be to suspend your infected WordPress site, until the hack is cleaned out. Usually this type of message is displayed if there is a due amount due to which the host suspended your account. Once the payment will be received, your website will be up again. What damage can hackers cause? If your website is on a shared network then it might be possible that your site is slowing down the performance of other sites and on account of this, your web host has suspended your account. If you’ve violated the policies of the web hosting, the host may have flagged your account for spam, a copyright violation, or some other policy. That is why you are getting this message on your website. Plagiarism is copying content which can be either text, images, videos etc from somewhere without any proper consent and utilizing it on your website. In this case, your account gets immediately suspended once you use copyrighted texts or images on your web pages without their permission.Thus, if you use copied content from a website, there is a good chance the owner of the website filed a DMCA take down notice with your host. This copyright issue is taken very seriously by web hosting companies. If you attempt to obtain sensitive information such as usernames, passwords, billing information, credit card details in an illegitimate manner pretending to do an online business but trying to fool people then let me clear you that it automatically leads to account suspension and additionally, you may have to face lawsuits. Although it might be possible that your website is infected by some virus that attempts to phish the site visitors. If so, you need to scan your wordpress website right away perform a cleanup. Spamming is an act to promote the websites that receives an automatic suspension by web hosts. Excessive spamming on other websites is easily detectable so avoid sending ‘n’ number of emails replicably. This might be possible that someone hacked your account and is sending tons and tons of emails through your account which is a serious threat to the reputation of your website among the people. Illegal content includes pirated movies, music, and software and hosting such a content on the website will not only be the cause to the suspension of your account;but also will drive you to the lawsuit as well. It might bother you that your site is suspended but this activity is performed to protect the integrity of the server. These days shared hosting is preferably implemented but when a site is attacked, it becomes risky to allowing such a site to run on the server as it could possibly open the backdoors for the hacker to attack the other websites that share the same server. That is why hosts simply turn off the websites and display message like “This Account Has Been Suspended”. 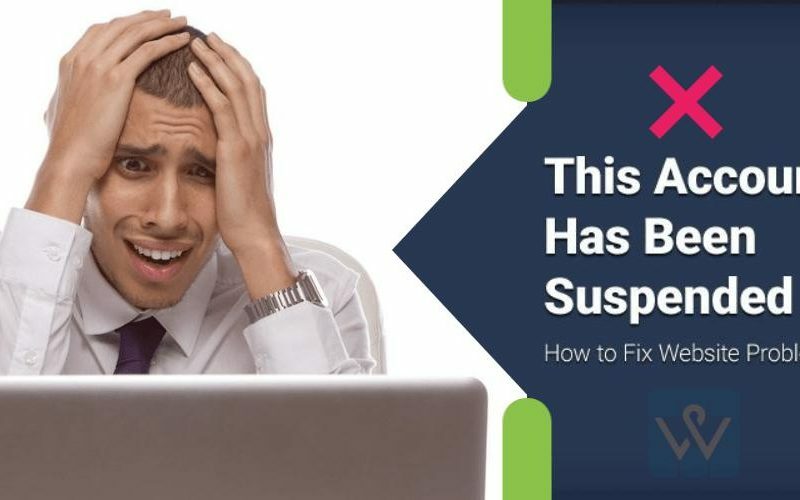 🛡️ How to Fix “This Account Has Been Suspended” Website Problem? The first thing is to understand is the reason why this message is displayed so that you can take right action and get your website working again. So here we are giving right steps to analyze the problem and fix it. First thing you can do is to talk to your hosts. Ask them why your account has been suspended. Hosts typically send email notices to avoid billing issues but if they are not responded then they step ahead for account suspension. So if they verify you that this is payment issue, you can pay them and get your site back up. Now the another case is that your website is infected with some malware or malicious content. You can even take help from your host. If it due to website attack, you can ask your hosts if they do provide cleanup services. And if yes, you can ask them for cleanup. In case, they do not provide cleanup services, you can ask if they can assist you with the list of infected files inside your account. If your web host has provided you the list of infected files, you can either remove the malicious content or even replace the files. After you remove those files, you can ask the web host to turn on your website. The another case is that if your hosting company is unable to provide you any information about infected files, how will you further take step.. Because you are unaware of the malware affected files, you would need to use a completely clean and malware free version of WordPress. Don’t worry! We are here to help you with this problem. For that, you need to first download WP-CONFIG.PHP file, .HTACCESS file and the WP-CONTENT folder within your web hosting control panel or FTP client. After the completion of backup, delete every file in your hosting account. Now, you can install a fresh, clean and latest version of WordPress. Then, simply upload all files to your web hosting account. At this point you can ask your your hosting company to review your account and if they find it clean, they will activate the account. As you will see that your account is activated so now you have to update all the three files WP-CONFIG.PHP file, .HTACCESS file and the WP-CONTENT using FTP or the same web hosting control panel. Once you restore all those files, we strictly recommend you to scan them and see which ones are infected since the host was unable to provide you the list. Although WordPress provides hundreds of security plugins in order to protect your website from potential hackers, we recommend you to do a full site scan using an intelligent online WordPress malware scanner. When the scan is complete, you will have your list of infected files. Now you can either remove or replace these files. For more security, you can check out our list of best wordpress security plugins 2018 and protect your website against malware threats and exploitation. Now that you have cleaned up your site, it is essential that you take steps to secure your wordpress website in 2018 so this does not happen again. ✅Update Your Information: Whenever you change your email address, contact number or billing info, for example – credit card number etc make sure to update your account with the same changes. So, you can avoid problems caused by not receiving email notifications, warning notices, other important messages sent by your provider or avoid automatic payment failures. ✅Check Terms of Service: Each hosting provider has their own terms and conditions for using their services. Reading the TOS of your hosting provider will give you a fair idea of how to maintain your hosting account. So, make sure you comply with the TOS of your hosting provider. 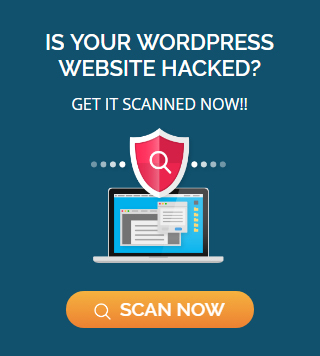 ✅Keep Regular Check on Scanning your website: Also, for future To avoid having your account suspended in future,we advise you to use our free wordpress security scanner here at WP Hacked Help to scan your entire website for malware detection. Apart from these, we are continuously coming up with latest updates, tips & news on our WordPress security blog. So keep in touch for regular updates. Next PostHow To Find & Fix A 🚪 Backdoor In Hacked WordPress Site?